The classic chicken wing is even more delicious when roasted until crispy and browned – glazed with this no sugar Asian blend. Yum! Warm soy sauce, sesame oil, vinegar, and preserves until melted. 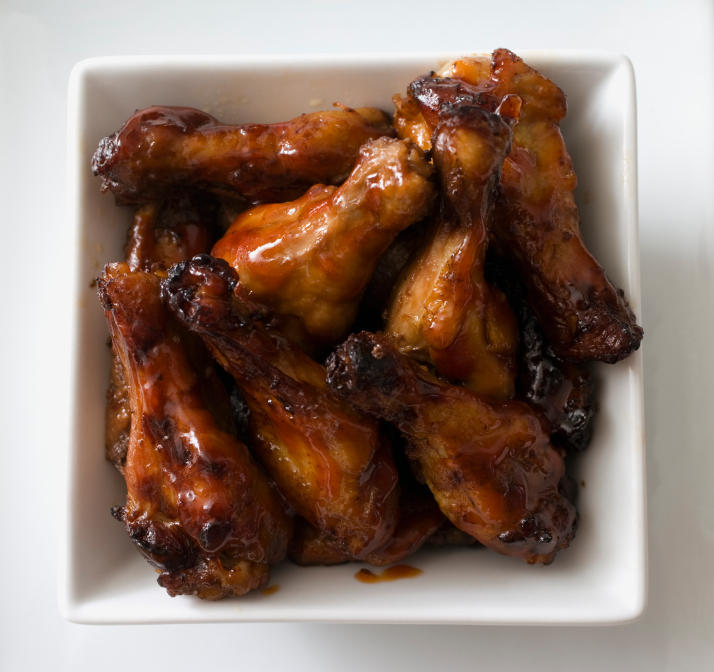 Toss half with wings in a large bowl. Arrange wing pieces in a single layer on a sheet pan that has been lightly coated with non-stick vegetable cooking spray. Season with black pepper. Roast wings, turning once, for 30 to 40 minutes, until cooked through and skin is crispy and browned. Remove from oven and arrange on a large platter. Drizzle with remaining sauce. This entry was posted in Appetizers & Party Food, Bariatric Recipes, Chicken & Turkey, Genius Snacks for Super Bowl, Main Dishes and tagged A Superbowl Party, Appetizers & Party Food, Chicken & Turkey, woo woo.